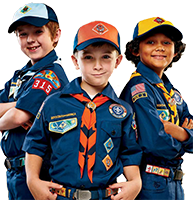 Take the Youth Protection training, it's for anyone that interacts with our kids in the scouting programs. Check out the "Contact the Leaders" page. Don't forget to add the leader emails to your contacts. Read and print the Parent Packet, which should answer most questions. This also has our leader contact info which you can post to your fridge! This site is color coded to help find what you need. 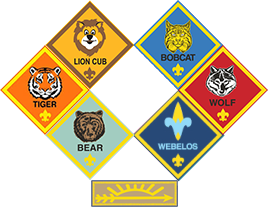 Pack is green, Tigers are orange, Wolves are red, Bears are blue, Webelos 1 are purple, and Webelos 2 are grey.